I don’t quite know why it took me so long to visit Weslodge Dubai at the JW Marriott Marquis in Business Bay. This Canadian restaurant/bar concept is located on the 65th floor of the hotel and has some spectacular views of Downtown Dubai and the Burj Khalifa. The interiors are very salon-style, like out of a Western film, so understandably it’s got very cosy lighting and lashings of leather. 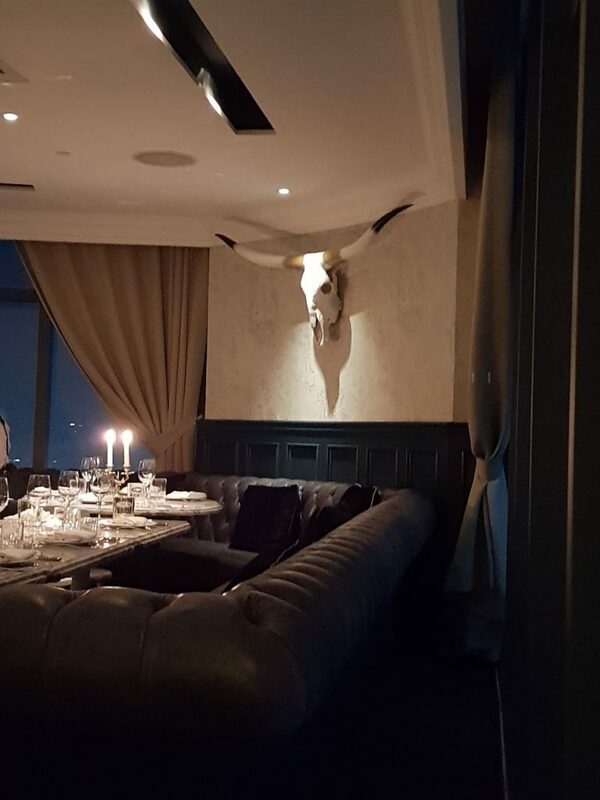 I loved the fact that the music in the background was there, but not loud enough to overwhelm you or make you shout across the table, something many restaurants in Dubai lack. Another thing is that the lighting had gotten considerably dimmer after 9 pm, so 10/10 points to them for paying so much attention to creating an atmosphere that was so cosy! 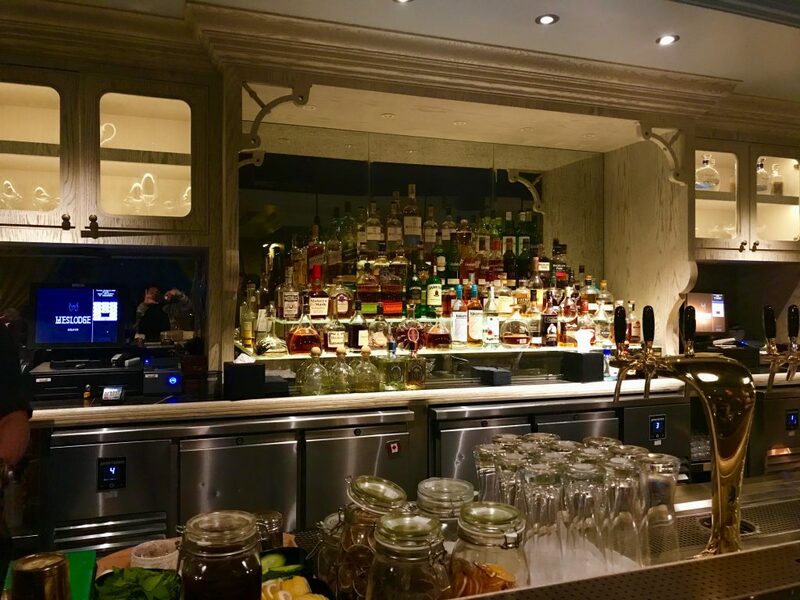 I definitely think Weslodge Dubai would be an excellent choice if you’re looking for a bar with some character, a big selection of drinks and an excellent bartender (who is also a real charmer). The staff is so knowledgeable about the menu and personable, it’s excellent. It really shows that they’re proud and happy to work there. 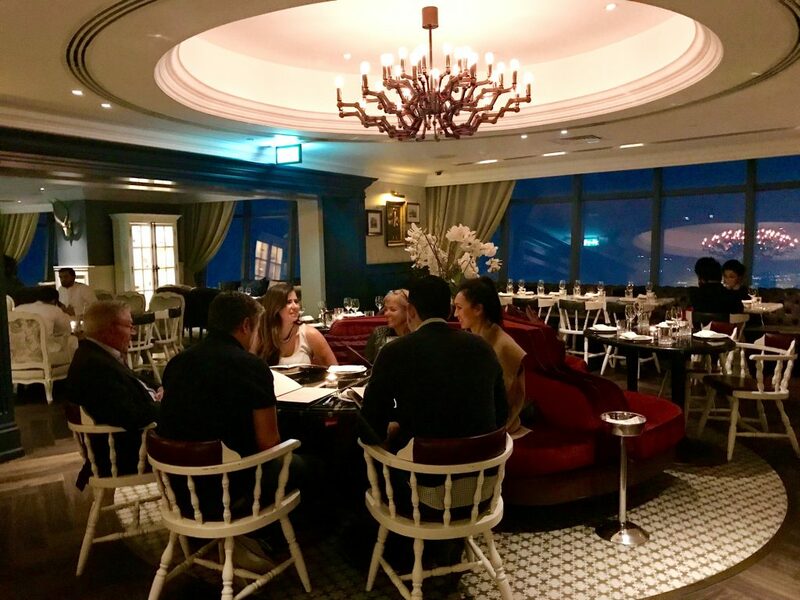 I also had the pleasure of talking to Global Head Chef Ben Heaton and the Dubai Head Chef Ryan Allen, who are some of the most personable chefs I’ve ever met! This menu is a revamp and it has a lot of multicultural choices and sharing style dishes – from Peruvian ceviche to Filipino style chicken wings. It’s testament to the lovely multicultural country that we all love so much – Canada. Rumours are that there’s going to be a brunch, so watch this space. Neither me nor F.C. 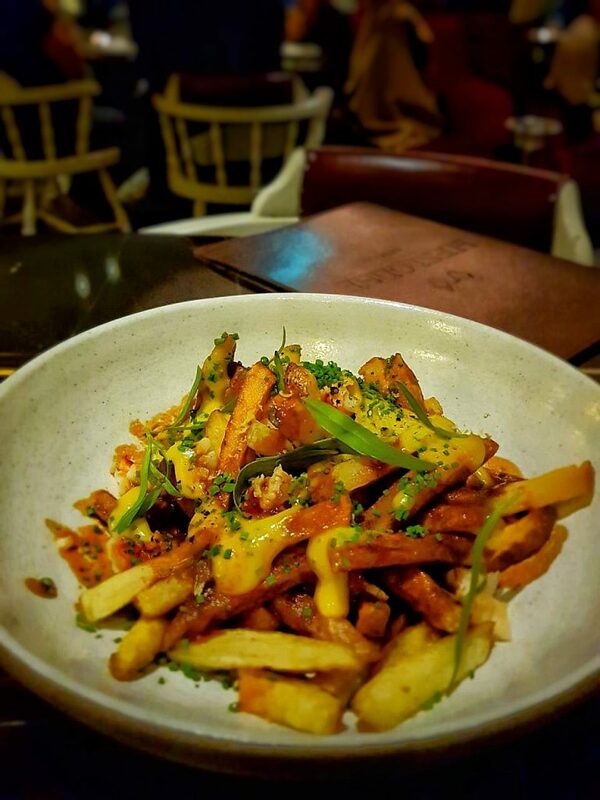 are huge fans of poutine (the sweet potato one at Bookmunch is pretty good though), but this lobster poutine is an amazing fine dining take on this comfort food. Eat it while its piping hot! A true Weslodge specialty. Generous with the truffle, this one! We loved this dish. 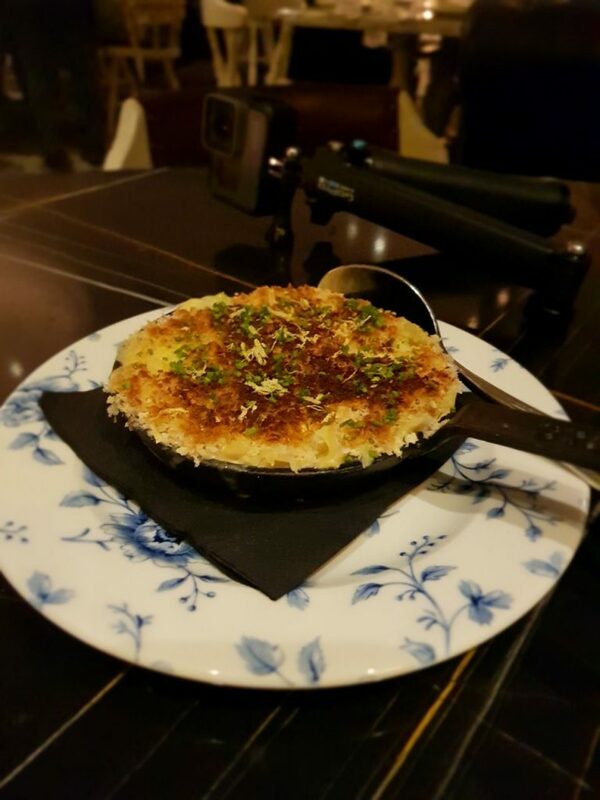 Though it looks suspiciously like a kunafa, this truffle mac n cheese is melt in your mouth delicious! 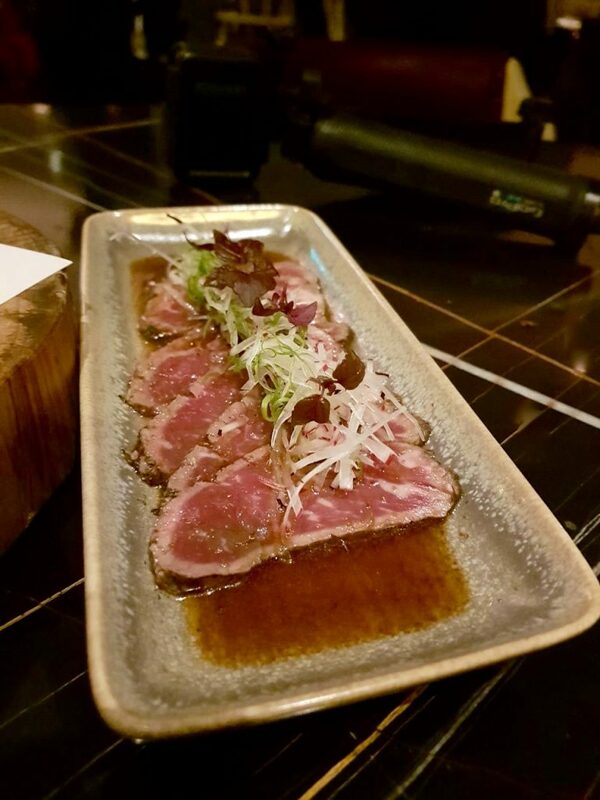 This was my absolute favourite appetiser as the wagyu beef was top grade and perfectly scorched in a sauce with yuzu and soy. It was delightful, simple and a true testament to the fact that food doesn’t need to be complex for you to enjoy it! OK, DO NOT ROLL YOUR EYES. 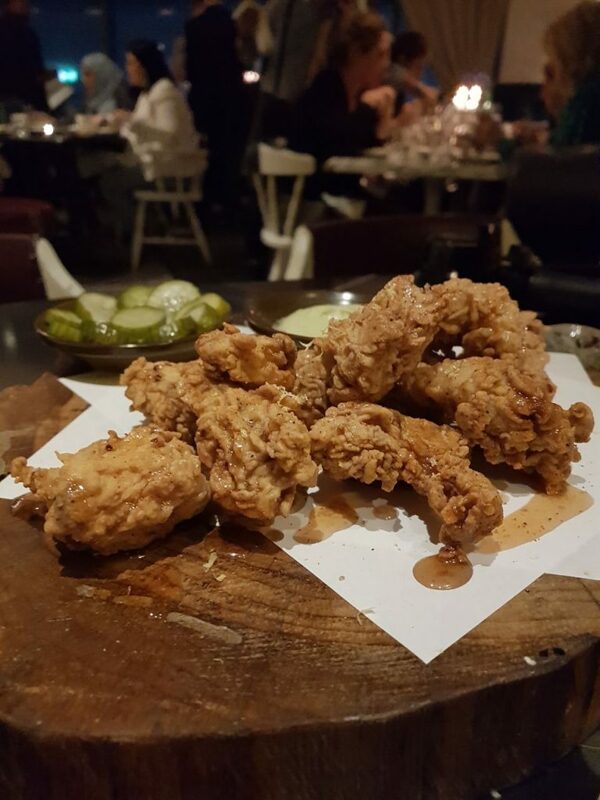 I know fried chicken at Weslodge is AED 90, but it’s by far the best I’ve ever had. They have tobasco honey drizzled over it and I think my fried chicken loving heart regaled in the oh so light ranch. Weslodge Dubai possibly has some of the best steaks in town. Period. Take my word for it. All the meat is dry rubbed, aged and seared in an oak wood fire. What I didn’t like about the menu was the abundance of chocolate in it. While I do enjoy it, I think it’s missing a certain light element for dessert like maybe a sorbet. The only dish that didn’t have chocolate in the menu was something with PB&J. I hope you give Weslodge a try, as it’s a beautiful restaurant with a lot of heart! Disclaimer: I was offered a meal in exchange for this review. All views and opinions are honest and my own.